"But as for you, ye thought evil against me; but God meant it unto good..."
I loved what it says so much, I couldn't just leave it hanging there! I had to bring it home with me. It was one of those impulse buys that I didn't live to regret. the one Kevin and Zach redid for me primitive-style. Every time I read it, it gives me hope. It reminds me that good comes out of bad. 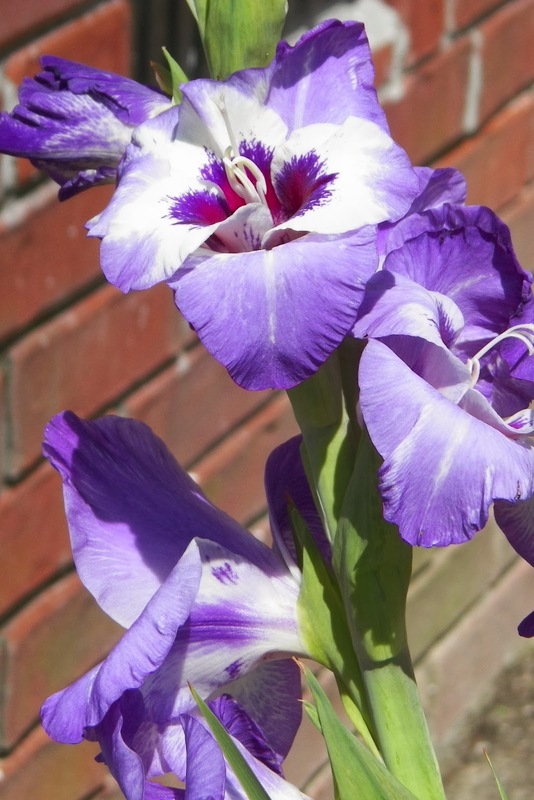 it has within it the potential to produce the best and brightest flowers. until long after the seed has been planted. We don't know it is even happening. It is not an instantaneous revelation. It doesn't go from ugly to beautiful overnight. before the flowers actually begin to break forth, blossom, and bloom. the length of this whole process varies. Plants known as annuals sometimes don't produce their flowers until the end of the season. It takes biennials two seasons, as they actually lie dormant during colder months. Perennials, like roses and daisies, blossom repeatedly, at different times of the year. but bloom again the next spring. During the germination process, it is hard to believe that anything beautiful will ever be produced. One could even give up hope and think their labors involved in planting the seed were all in vain. discouraged, frustrated, and disheartened...feeling like they have wasted their time. or not growing at all. We don't always see what is going on under the surface. when all along, He is working all things together for our good. truly beautiful sprang forth from it. I just recently completed reading the book of Genesis again. I absolutely love the Old Testament. There are so many precious gems and nuggets of spiritual good in its pages. I feel I am barely skimming the surface. Could one person ever hope to unearth it all in one lifetime? I never tire of reading the story of Joseph. and read about his death. This man understood true suffering. and thrown into prison, where he was cast aside and forgotten for years. Talk about feeling abandoned by God. he was led into the crucible of human suffering. God opened my eyes to see things about Joseph's story that I had never noticed before. he had some character flaws. He was in need of refinement. God had a Divine call upon his life. there were some rough edges that had to go. For example, take a look at the 17 year old Joseph. The Joseph who dreamed lofty, God-given dreams of being superior to his 11 brothers. The one who couldn't wait to run and tell his brothers about the dreams. The one who was dubbed by his father, Jacob, as the favorite son. The one who didn't make the slightest attempt to hide it. flaunting it in his brothers' faces every time he put it on. than he should have had. The plans God had made for Joseph were of the stateliest sort. that would include being the 2nd in command over the land of Egypt. To be a good leader, one must be humble. One cannot have such a high opinion of one's self. to the place of honor He envisioned for him. There was a refining process that had to take place. The only way to refine Joseph's dross was to place him in the fire. to see the fulfillment of his teenage dreams. At the age of 39, he saw and realized the full fruition of those dreams. pleading with him for mercy. It was a different Joseph that stood before them, as they bowed. There were no "I told you so's". No "You are getting what you deserved". No "You did me wrong, now I am in a position to get even." No "You should have listened when I told you that one day you would all bow down to me." Not even the slightest trace of enjoyment of their miserable plight. but of a man who had walked through the fire with God. A man who had learned anguish-filled lessons in the school of hard knocks. A man whose God-like character had been forged and perfected in the crucible of pain. A man who did not take delight in watching his traitors grovel. Joseph's reaction to seeing his brothers bowed down to the ground at his feet? With such anguish that the Egyptians and the house of Pharaoh heard his cries. This was a changed man. A man fitted and equipped to carry out the life-work God intended for him to live. His transformation did not happen overnight. when his very brothers betrayed and sold him into the hands of foreigners. There wasn't a trace of bitterness in his tone. This was a purged-of-dross version of Joseph. Have you ever heard the story of the silver refiner? I received it in an email from someone a long time ago. but I wanted to share it here. "There was a group of women in a Bible study on the book of Malachi. "He will sit as a refiner and purifier of silver." about the character and nature of God. and get back to the group at their next Bible study. That week the woman called up a silversmith and made an appointment to watch him at work. She didn't mention anything about the reason for her interest in silver beyond her curiosity about the process of refining silver. He explained that, in refining silver, one needed to hold the silver in the middle of the fire where the flames were hottest so as to burn away all the impurities. then she thought again about the verse, that He sits as a refiner and purifier of silver. The man answered that yes, he not only had to sit there holding the silver, but he had to keep his eyes on the silver the entire time it was in the fire. For if the silver was left even a moment too long in the flames, it would be destroyed. "How do you know when the silver is fully refined?" "Oh, that's the easy part -- when I see my image reflected in it." the impurities that float to the top are called dross. "Take away the dross from the silver, and there shall come forth a vessel for the finer." and what remains is a vessel God can fill and use. It is not beneficial to the silver. is to use extreme heat. "And He shall sit as a refiner and purifier of silver..."
Only our Refiner knows how much heat is necessary to remove the dross from our character. Only He knows how long we should be left in the heat. Only He can see whether or not His Own image is yet reflected in us. to a bright and beautiful flower will take. He must first remove it from our character. Having dross on board makes us inferior to what God desires us to be. It hinders our progress and impedes our usability in His hand. more than a one-time trip to the Refiner's crucible. we are only fooling ourselves. God has had a purpose. dross that I often didn't even know was there. Dross that was ugly and worthless and vile. Dross that was holding me back from being all God wanted me to be. Dross that hindered God from seeing His image in me. had I not watched it rise to the surface in the heat. I have prayed much in this current furnace of trial. I have sought God's face diligently...fervently...earnestly. Begged Him to show me. Today, it finally hit me that He has been showing me....already. During this trial, dross has risen to the surface. I hadn't identified it as being such....until today. Who wants to claim their own dross? realizing they spring forth from their own nature? we may as well face the music and own it. It hit me like a ton of bricks...today...as I sat and typed the words to this devotional. This trial is not without reason. there was hidden dross, buried deep, and I didn't know it. to my attention. To make me see. because the refining process is not yet finished. He loves me too much to allow me to go a step further laden with dross. Other people can see and falsely assume that we are purified. They can see us as dross-free and holy, based on our demeanor and outward appearances. no matter how showy or sanctimonious they be. God cares about what is going on inside the heart. even pass it off as being a trait that "runs in our family". tired and beaten down from the length of this trial. and I asked Him to search me. And see if there be any wicked way in me, and lead me in the way everlasting." Because I no longer trust myself. I will not trust my own ability to search. I overlook too many things. I make excuses for shortcomings. and sincerely intend to go back later and deal with them. More often than not, later never comes. "...all things are naked and opened unto the eyes of him with whom we have to do." Perhaps David had come to the same conclusion I have when he prayed that prayer. Maybe he didn't trust himself, either. and try him and know his thoughts. and it would be wisest to allow Him to do the searching. I prayed David's prayer, and I meant it with all my heart. He pointed me back to some things He has already been dealing with me about. It is so plain to me that this is the Divine purpose for this trial. "I'm not finished with you yet." He let me know that He still wants to use me...here on earth. I could never put into words how much that comforted my heart! so I will come forth as a more usable, better-equipped vessel. It comforted me....knowing this is not the end of the journey. a period of time spent in the Refiner's crucible...being purged of inward dross. How else would we know the dross is there? where we can see it, deal with it, and get rid of it out of our lives? This trial started as a not so beautiful seed. Just as He has for you, my friend. He is absolutely in control. Nor will He leave you there too long. you will see....and so will I. It is estimated that there are 7,487 promises in the Bible. Commitments that God has made. Things He has promised to do. Gifts He has pledged to give. Covenants He has vowed to never break. Through the years of time, God has remained true. God has never gone back on His Word. It is forever settled in Heaven. On the flip side, how many promises have been made to God through the years? from death row and prison cells. How many times has God heard promises like this? I'll turn my life around. I will live a Christian life." It must sound like a broken record to God. I wonder how many times He hears that kind of cry on any given day? How many times has He intervened and granted those requests? sent an unexpected pardon to the incarcerated. I'll admit that I have been battling discouragement. only to find out I am just as weak, after doing the simplest tasks. It is frustrating to me. The other day, satan appeared....isn't he always around? walketh about, seeking whom he may devour..."
He doesn't lighten up on the attacks when we are sick and weak. when he spots a child of God in a diminished state. That is whom he seeks...and when he pounces hardest once he finds them. it was the Apostle Peter. His admonition...his words...hold a lot of weight and credibility with me. only to fail miserably and break every one of them a few hours later. and really pounced on my fragility. "Why don't you just turn against God? He isn't hearing your prayers. You will never get better. This is more serious than you think. God isn't going to heal you. You may as well just throw in the towel and stop serving Him." satan having the audacity to come and suggest that this battle should be the deal-breaker? Mom and Dad always taught me to be a person of my word. Papaw used to say, "A man's word is his bond." I heard that a lot growing up. As much as lies within me, I always try to keep my word. I am not a deal-breaker. This sickness is not a deal-breaker. does that give me the right to back out of my end of the bargain? I told God that if He would save my soul, I would serve Him all the days of my life. I said that He could use me in whatever way He chose to. I would follow Him always...no matter what. I made some pretty solemn oaths when I prayed those prayers. God and I....we have a "deal". Without any potential of amendments. To me, my promises are irrevocable. I made vows to Him. Vows that came from the bottom of my heart. I couldn't have meant them more. "you will never face a trial"
You won't find those statements as having been uttered by God. The man walked an upright path. God's approval rested upon him. and tried to persuade him to turn his back on God. Dost thou still retain thine integrity? But Job and God had a deal. "But he said unto her, Thou speakest as one of the foolish women speaketh. and shall we not receive evil? In all this did not Job sin with his lips." I think it all boils down to one word...spoken by none other than Job's wife. Do we just maintain our integrity when things are going our way? When health is abundant, finances are overflowing, and trials are few? Do we only remain steadfast when we are physically strong? Is a fiery trial legitimate grounds for breaking our deal? For not keeping our promises? For turning our backs on God and walking away from Him? Trials are going to come...to all of us. Peter broke His deal with Jesus. He vehemently denied he even knew Him. When it was all over, he was filled with extreme remorse. He went out and wept....bitterly. His heart was shattered...to think that he did not keep his end of the promises he had so sincerely made. He failed Jesus at the moment He needed him most. Peter knew all about breaking the deal. Hence, his solemn warnings to all who read his epistles. but he didn't stay down. He knew what to do, and he humbled himself and did it. Because of his repentance, he was restored...completely and without any strings attached. those who have made promises to God to turn from Him and break those promises. Some are more determined than others. For some, it more than likely took extreme trials to cause them to break the deal. For others, it probably wouldn't seem like it took much at all. Some run at the first sign of adversity. we will never encounter another trial or hardship in this life. 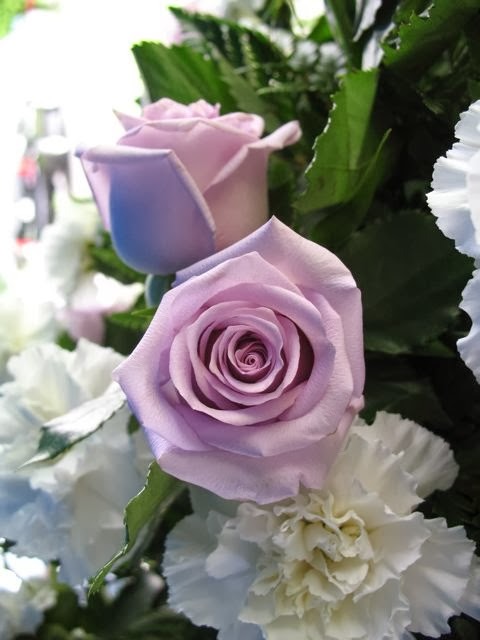 That somehow life will mysteriously become a bed of roses, without thorns. That we will be transported to some kind of ethereal realm where all is an Eden-like utopia. We don't go straight to Heaven the minute we become a Christian. completely susceptible to all of the things of which we were vulnerable before our conversion. we have Jesus on board! He literally dwells within us, and we have access to the fullness of His precious Holy Spirit! This makes all the difference...while walking through the valleys, trials, and fiery furnaces of life. So, why would we turn from Him? Why would we throw up our hands and quit when the battle is raging? Why would we even be tempted to break the deal? Unbelievers have the same troubles we do. Their lives are not exempt from sickness. Wouldn't it be in our best interest to want to stay in God's favor? Wouldn't it be smart to keep our promises and not even consider breaking our deal? I realized the absurdity of his temptation. never forsake me, but would walk every mile with me. or call for legions of angels to deliver Him....when His pain was at its most intense. in the most extreme of circumstances. Just because I am struggling to understand? Paul wrote a letter to the church at Galatia, and he asked them a pointed question. "Ye did run well; who did hinder you that ye should not obey the truth?" We give up over so little. We throw in the towel over such small trials...when compared to those of our dear Lord. We decide it just isn't worth it over the slightest sign of discomfort, suffering, or difficulty. as He is faithful to keep His to us! What steadfast children of God we would be! So, what are you going through, my friend? Do you feel God-forsaken in your trial? Does the night seem long and never-ending? Does it seem you overcome one hurdle, only to have another one arise? Are you tempted to give up on God? Does it seem that the Heavens are brass when you pray? That no one is listening to your heart-wrenched cries of despair? That God has taken a long-distance vacation, and it is of no avail to keep calling on Him? Does it cross your mind to break the "deal"
you have made with Him? Do the vows you made to Him seem like they were spoken an eternity ago? May I offer you a shred of hope? With words I am now using to encourage myself? searching for Him and feeling He is a million miles away. to toss aside my faith. David encouraged himself in the Lord in moments of hopelessness. some of the Psalms through which we now take such comfort. Sometimes, we have to encourage ourselves in the Lord, too. Sometimes, we can find no other source of encouragement. Sometimes, we feel so alone...in the trial...in the heat. We can't always see Him, but He is absolutely there. We can't always feel Him, but it is then that we must trust. We can't always hear His voice above the chaos, but it is then that we must be still. carrying us....holding us close....keeping us going. Don't let whatever you are going through become the deal breaker. Hold firm to the commitment you made to God. If that is all you have left, hold on tight. I promise you He is not. He heard you the first time you prayed. He saw every tear well up, then course down your anguished face. He felt it....just like He was the one who cried. Draw near to Him, He will draw near to you. Satan wants to offer you an alternate deal. You can't afford to place your trust in anything he says. He doesn't know how to tell the truth. He has been a liar and deceiver from the very beginning. He tempts you to break your deal with God. He tells you that your problems are all God's fault. He spews foul untruths every time he opens his mouth and sneaks a thought into your mind. Don't take his offered deal. You will eternally regret it. the initial "deal" you made with God. Don't give up just because this is too hard. Trust me, it is harder on the outside perimeters of God's perfect will. Out there, you have no Helper. Keep drawing from your Life Source. He loves you with an undying, unconditional love. Even when you pound your fists Heavenward and question His plan. and this is the same things I am telling myself right now. I am no better...loftier....or more holy....than anyone else. One thing is not an option. I made a "deal", and it cannot be broken. I can't turn away from Him now. He has done too much for me. What in the world would I do without Him? Telling me to be still. Loving me with an intensity beyond the capability of humanity. Walking through the fire by my side. Telling me it is better farther on. Reminding me that this didn't come to stay, it came to pass. I know He is there....in the clouds. What in the world would you do without Him? To say He had it rough while on earth is the biggest understatement ever made. He understands our plight....more completely than anyone ever will. He never said this would be easy. But, He did say we would never walk this path alone. It is no time to break the deal. to be the deal breaker between you and God. He is keeping His Word. He is still with you. There will be an end to this trial. but joy cometh in the morning..."
Then you will be glad you didn't break the deal. of several couples who are struggling with the heartbreak of infertility. I listen to their hearts, and mine goes out to them in so many ways. and He still sets the solitary in families. 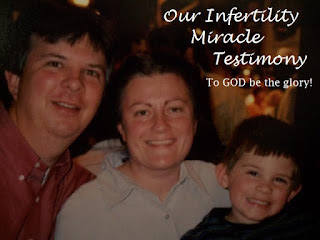 who, along with her husband, is now facing and working through the pain and anguish of infertility. so graciously offered to listen to other stories. The sweet Spirit of God spoke to my heart that it is high time I share ours....for His glory. So, the interview was published today. Today, I stood at the front door waving good-bye to Kevin and Zach. birthday plans have been intercepted and interrupted by my sickness. We planned to go out today...finally....and let him do all the things he has been planning. Then the night before last, I struggled hard to breathe and just didn't seem to be getting much better. guess that explains the weakness, shortness of breath, and overall feeling bad. I was so in hopes that it was gone...healed....completely. So, long-story-short, I didn't have the strength to go with them today. and the two of them drove off in the rain to treat Zach to some long-awaited fun. I am so thankful they could go. I have felt so bad making Zach wait. protect them, and bring them back home safe to me. It doesn't feel so good to be left behind. The three of us usually do everything together. either as a couple or as one of us taking Zach off for a "Daddy" or "Mama" date. so he needs that one-on-one time with each of us from time to time. I'm not used to being left behind. knowing Zach is growing up so quickly, and we need to make every one of them count. The house was quiet after they left. The weather has warmed slightly, so I had the kitchen window open for some fresh air. hoping against hope that God will send the healing I need....soon. I don't think I yet have learned everything He is trying to teach through this trial. Otherwise, it would have ended by now. The enemy shoots forth lies that this will never get better...amongst other frightening thoughts. They come at me like threatening, terrifying, fire-filled darts. God's very intent in creating it is as an antidote to quench the fiery darts satan hurls. They come at us with fire burning in their tips. Upon first contact with the shield of faith, the fire is put out, and the threat is over. if it is not picked up and used, right? Quenching his fiery darts with the shield of faith often involves the quoting of Scripture. so it will be available to use when we need it most. by lifting the shield of faith in the direct quotation of Scripture. It will work for us every time, too. But, what about the times we are too weak to pick up the shield? It wears down our resolve. than when we are healthy, strong, and at our best. which is exactly what happened in our house recently. Dear Kevin...and sweet, precious, Zachary! How touched I am by their fervent prayers for my healing! The other night, I was in pretty bad shape and called to them to come pray for me....again. I listened to Zachary's words. I wish you could have heard that prayer! That prayer moved me like you wouldn't believe. Our little boy, praying and seeking God with all his heart. Heart-wrenched, earnest cries from the depths of his little soul. Daddy and I need her, Lord." but, honestly, this intercession...on my behalf...reached a whole new level. I could never put into words how deeply moved I was by the burdened sincerity of that prayer. how must they be affecting God, His Heavenly Father...the One to Whom they were being prayed? I knew, in that moment, that God heard everything Zachary and Kevin were saying in that prayer. My mother-heart was broken, hearing that prayer. How much more God's father-heart had to be rent in two! Hearing those cries, watching those tears, feeling that level of sincerity. I have thought about Mom and Dad so much lately. Longed to hear them tell me everything is going to be okay. Longed to hear them say they are praying for me. I miss their love...and care....and concern. How grateful I am to and for my siblings, family, and all of the others who care and are praying for me! and oh the sweet blessing they were to us! We had a very anointed, precious time of prayer together. The Lord was so very near, and His presence fell upon each one of us in a powerful downpour. Oh, so often my mind is upon Him! and the fact that HE, Himself is interceding...non-stop for me! Who is even at the right hand of God, who also maketh intercession for us." but was in all points tempted like as we are, yet without sin." He could have chosen to be a distant on-looker of our humanity and all we encounter in this life. and merely watched and sympathized as our hearts break and our bodies ache. but we would not have a God Who truly understands the human condition. It is one thing to look at someone and say, "I feel for you. I am sorry for what you are going through." It is quite another to say, "I know how you feel. I have walked in your shoes." Jesus chose to come to earth. He wanted to experience what we go through...to the nth degree. that He has not already felt, lived through, and fully experienced. He was tempted, tried, and tormented in every, single way you and I are. There is nothing we could ever go through that He does not completely and entirely comprehend. to a degree that we will never be able to fathom. Jesus was often "moved with compassion"
during His life on earth. He couldn't turn His head and pretend it wasn't happening. He literally hurt when He saw the hurting. and listened to the cries and anguished sobs of those who mourned? so He could speak life into him and restore him to his anguished mother? and many of His disciples went with Him, and much people. and much people of the city was with her. and said unto her, Weep not. and they that bare him stood still. And he that was dead sat up, and began to speak. And He delivered him to his mother." as He turned to walk away from the two of them. Jesus Christ is deeply moved when we pray. He understands...first-hand...how it feels to be human...every part of it. He is right there...right next to God...making intercession for you and for me. Watching others moving and going and doing. It is a new experience for me...so used to being the one who is "doing the doing." even the left behind part. Remember the Garden of Gethsemane? only to come back a while later and find them sleeping? He was alone...when He needed them most. They all forsook Him and fled...in the heat of the battle. He had no human comfort. Surely God has reasons for halting me here...on the sidelines of life. I don't know why this is taking so long. Thankfully, I did finally get some sleep during the early morning hours today. It was the best sleep I have had in almost three weeks. I realize that mine pales in comparison. I am not complaining....just wishing to feel better...longing to be released from the trial. Should God's mission to teach be aborted before it completely fulfills its purpose? Just because of my whining and squirming to break free? He set out to do when He first led me to this pasture? Do I really believe it now? This is where I find out. This is where the lofty boasts of trusting Him completely are put to the test. to learn all He wants me to while going through this. I can possibly wring out of this trial. just so I could be healed. by Whose stripes ye were healed." By Whose stripes we were healed. All we have to do is wait for it. How could I ever praise Him enough? For all He went through...for me? I feel so unworthy...so low....so undone. I don't know of a moment I ever loved Him more. I wait....hoping and believing that "this too shall pass." Trusting the wisdom of His timing. that He doeth all things well. and having to rush back to the recliner every little while to rest. but how sweet to know that Jesus is walking this path with me! and there is no other hand I would rather trust to lead me out. I will even make a way in the wilderness, and rivers in the desert." I haven't mentioned much in the way of New Year's Resolutions during these first days of the New Year. But, I have made a few. I wanted to share some of them here. First off, I decided to read the Bible through this year. that enables you to finish in exactly one year. and the one I like most and chose to use is found here. and several versions and even languages. Under STEP 1, I chose King James Version, then Old/New. so I am digging spiritual good from both wells! what I am supposed to read each day. but I am trying to make sure I read what is "required" at the very least. I love this plan, and by God's grace plan to stick to it. I have been choosing to ignore, and just hoping they would go away. Some are issues I've had for quite a while and are becoming more pronounced. always putting everything and everyone else ahead of dealing with them. and doing what I need to do to improve my own well-being. I truly believe that is why God has permitted this latest illness. In the process of dealing with it, a door was opened for me to begin working on other issues. and, by steps of faith, walk through those open doors. and do all within my power to get better. and a healthier temple for Him to dwell within, speak through, and use! I'm doing this for Him first. Having that mindset makes it so much more important....and necessary. He deserves the best we could ever offer Him. Kevin bought me Ann Voskamp's book called "1,000 Gifts". In it, Ann repeatedly uses the word, "eucharisteo", which basically means "to give thanks". by recording one thousand things she was thankful for. This suggestion completely transformed her life and way of viewing it. I found this to be so intriguing. it came back to me that I should make this a habit in 2014.
each time I passed it....just lying there...collecting dust on my side of the bed. My friend, Priscilla, bought it for me...I think it was for my last birthday. Why not put it to good use and start my gift-journaling at the same time? SO, I began my eucharisteo journal journey. to reach 1,000 by the end of this new year. But, I confess, that once I started writing, I couldn't stop. Today, I am already over 260! There is SO much for which to give thanks! I have to pull myself away from it in order to stop. God's bountiful gifts are truly innumerable....and too great to count. And lastly, I decided to start journaling about my weight. It is a whole new approach. but, one that, for me at least, needs to be addressed, nonetheless. I have made no loftily-aspired weight loss goals or resolutions for 2014. I am not committing to losing a certain number of pounds this year. I hope to do that, and I always wish for it to happen. But, honestly, I just can't take the pressure of such a commitment anymore. I don't want to deal with the self-inflicted guilt. only to fall short and into depression over not being able to attain them. and she gave me the idea of journaling my journey. I was feeling so down that night. The words just started pouring out of me....like a flood gate had been opened. on and on I droned. I count them among my most treasured gifts...in my on-going list of 1,000.
and among them was to start writing things down. given to me by my niece, Kristen several years ago. I came across it recently while cleaning out a night stand drawer. So, right there and then, I decided to use it as my weight journal. but to focus on my feelings about my weight. to the interception of my progress. Everyone is coming up with one word for 2014. I've seen some great ideas online. The root word here is rest. Setting some things aside, in order to be still, so that God can restore. So, He can do what He is needing....and wanting to do in me. Focusing on Who...and who is most important in my life. turned upside down, and shaken empty. My life verse for the new year? "And I will restore to you the years that the locust hath eaten, the cankerworm, and the caterpiller, and the palmerworm..."
It has been a source of great comfort to me so many times. It is a direct promise that you....and I can cling to and hope for in this new year. who possesses the sole intention of robbing us of everything good. "to steal, and to kill, and to destroy..."
the canker worm, the caterpillar, and the palmer worm. That pretty much sums up the work of the devil, doesn't it? inserting and forcing evil elements into our lives. Everything about him is destructive. I have found his attacks to be very well-organized. They spring up quickly and increase at the speed of light. He is creepy...sneaky....sly....crafty....under-handed and evil to the core. He laps up anything good he can find in and around our lives. He walks about, like a roaring lion, 24/7, seeking whom he may devour. He strips away the shiny and beautiful and replaces it with the dull and ugly. he pillages during destructive raids and takes away the good things as his spoil from the battle. He gnaws away continually...constantly trying to erode Godliness and lofty aspirations. He devastates anyone and everything in his path, leaving behind a ransacked, sickening aftermath. He is a distributor of locusts....all manners and sorts of them....sent out to bring us down. But, praise God, we are more than conquerors through Him Who loves us! God has promised to restore everything satan has robbed from us. Joel 2:25 is my promise for this year. I am looking for good things. and I am believing Him for that more abundant life Jesus came to give us. "I am come that they might have life, and that they might have it more abundantly." What is your life verse for this year? Any special promises God has personalized....just for you? Have you narrowed the Holy Spirit's leading in your life right now...to one word? The year ahead is an unwalked path. clinging tight to His nail-scarred hand. For truly, that is the only safe way to travel.